Randal (Randy) Reynolds’ 35 years of experience has been spent in as an environmental compliance professional and consultant in over 20 industry sectors. He holds a Bachelor of Science degree in Chemical Engineering from the Georgia Institute of Technology. 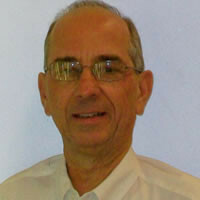 Randy is a Registered Professional Engineer in the states of Alabama, Georgia, South Carolina and Mississippi. Randy has served in government, private industry and consulting positions combining process knowledge with compliance expertise to create cost-effective client solutions. His consulting experience includes facility compliance for industrial storm water, SPCC plans, hazardous waste management and EPCRA reporting (Tier II and Form R). Industries served include pulp & paper, chemical, wood products, metal coating, metal recycling, metal fabrication, food products, flexographic printing, retail operations, and healthcare. Randy’s skill sets include directing regulatory compliance projects, coordinating sampling and analysis of water discharges and air emissions, supervising preparation of site drawings, agency interface, environmental training, preparing conceptual system designs and coordinating their installation. Randy is a longtime resident of Marietta, Georgia although his project work has taken him to 40 states, two Canadian provinces and Guam. Randy joined FRM in March 2014.